The incident happened while the worker was performing duties at a building located at the intersection of 50th Street and 2nd Avenue. According to authorities, a brick fell from the top of the building and hit the worker in the head, prompting a response from emergency medical crews. After responders arrived at the scene, the victim was taken away on a stretcher and transported to a local hospital with a severe head injury. The injured worker was initially listed in critical condition but was sadly pronounced dead shortly after being admitted. More information will be available once authorities have completed their investigation into the incident. Before moving on, we would first like to offer our sincere condolences to the loved ones of the victim as they attempt to cope during this devastating time. 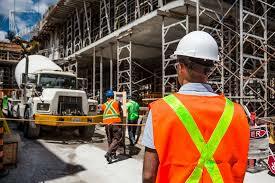 Construction accidents in New York are unfortunately common and often fatal, especially since many jobs involve heavy materials and powerful machinery. While it is challenging for a bereaved family to focus on anything other than their mental and emotional recovery, it is important to understand that you may have significant rights at this time. At Hach & Rose, we are determined to assist the members of our community who have been unfairly affected by the actions of another party or other entity, such as an employer or manufacturer. Many workplace accidents in the field of construction are caused by unsafe property conditions, and it is crucial to realize that you deserve the best representation possible. If you have lost a loved one in a construction accident due to the actions of another party or other entity, please call 212-779-0057 today.